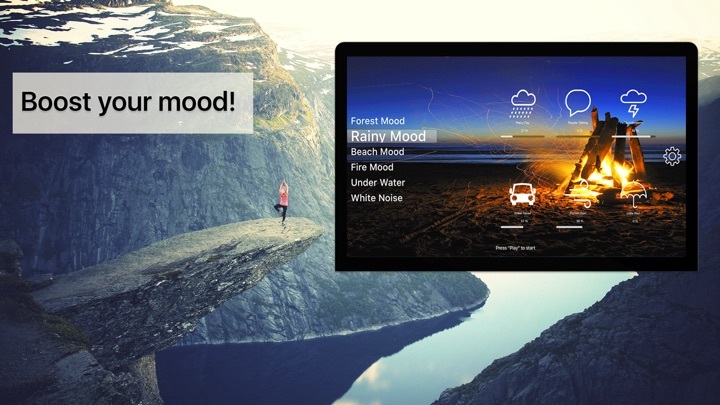 Relax for Apple TV is your sleep wonder and relaxing miracle. Carefully selected sounds help you relax during the day and sleep great at night. Perfectly looped sounds ranging from rain and crackling fire to simple white noise make the perfect background for your bedroom TV to help you fall asleep easily. 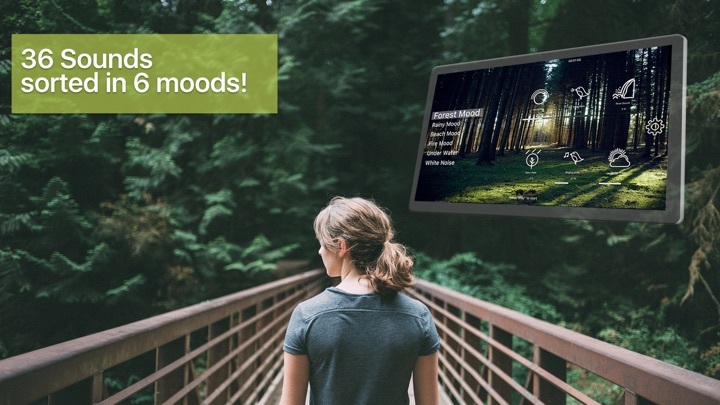 All sounds are sorted in 6 easy to navigate moods, helping you find your preferred sound easily. If you find that some sounds would be great if they played together you can create your own sound profile. Who doesn’t like a cozy fire when the rain pours outside? With the built in creator you can do that, you can build your very own sound profile and mixing sounds from all moods seamlessly together. Where others have simple white noise, TV Relax lets you adjust the tone of the noise you would like to use. With just a tap and a slider you can change from white noise to brown noise, pink noise, gray noise or combine all of these. 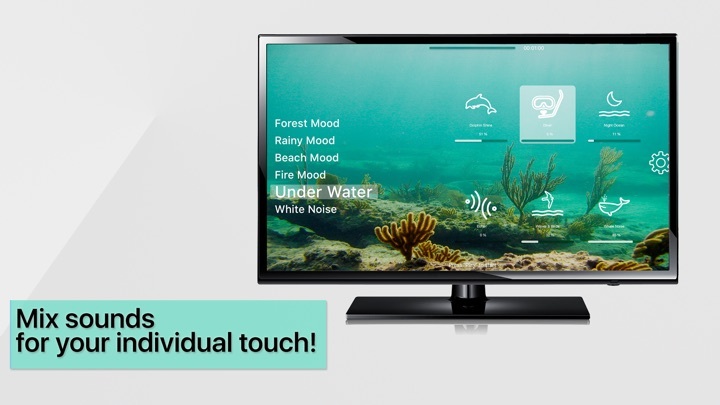 Of course, that goes for all sounds in every one of the 6 moods that are provided by TV Relax. 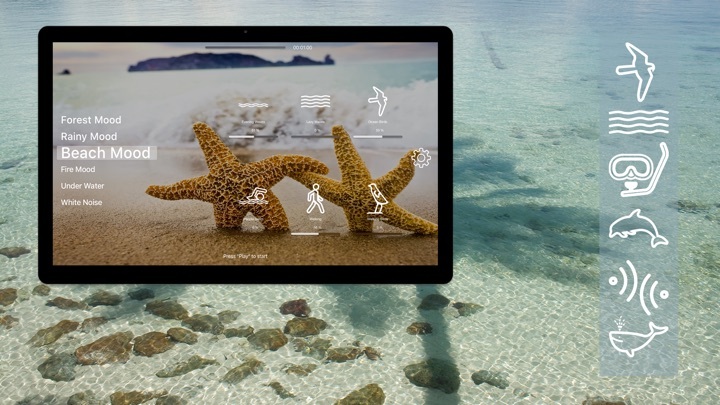 That way you can create a power nap profile, a bed time profile, a relaxing and dream profile, a profile to boost concentration, a profile for whatever you need it! You may wonder why noise should help you sleep better. Even when you are asleep, your brain keeps track of your surroundings to a certain degree, your ears are constantly scanning for sudden noises and for things that could be dangerous. White or colored noises, rain, water and other soothing sounds are masking other noises and sounds that would make you wake up otherwise. This works even better in really quiet surroundings, when it is too quiet every little noise is an interruption. 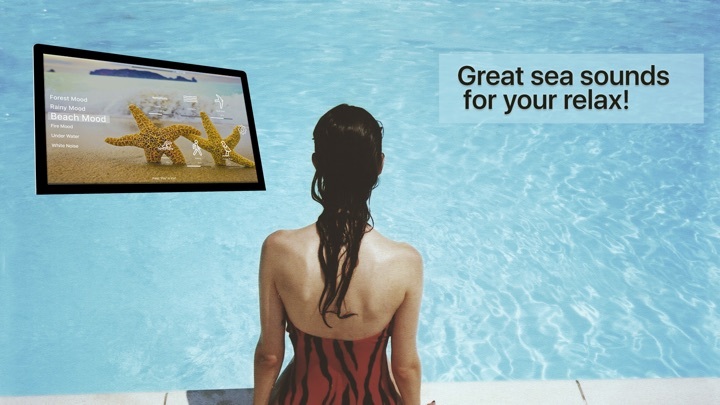 TV Relax not only puts you to sleep, it keeps you asleep! This should not be really necessary to mention, but others make it an important feature in their applications: TV Relax is ad free. In fact, all our apps are ad free!